Menopause is a natural process that affects women. 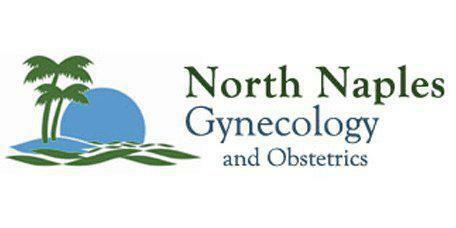 At North Naples Gynecology and Obstetrics, we help patients throughout Naples, FL and the surrounding areas get the best care they need to overcome menopausal symptoms. Patients can work with Dr. Hildahl, a Mayo Clinic trained physician. Menopause is a time in a woman’s life when she is no longer fertile. After menopause, a woman’s body stops producing the hormones necessary to reproduce. The transition to menopause is not smooth – hormone levels fluctuate wildly for months or even years, causing uncomfortable symptoms for many women. Once a woman reaches menopause, which doctors define as six consecutive months without a menstrual period, hormone fluctuations and their associated symptoms begin to smooth out. What Do Menopause Services Include? Menopause services include annual wellness gynecological exams, evaluation, and treatment of menopause symptoms, gynecologic care of women after childbearing years, and evaluation and treatment of sexual problems during and after menopause. Menopause services may also include screening for breast health, osteoporosis, colon cancer, and other disorders that sometimes occur after menopause, such as pelvic organ prolapse, urinary incontinence, and overactive bladder. In some cases, hormone replacement therapy is included in menopause services. Hormone replacement therapy keeps hormone levels smooth, reducing uncomfortable symptoms of menopause. Who Can Benefit from Menopause Services? Menopause services are appropriate for women between the ages of 40 to 60 years old who are experiencing symptoms of menopause, such as hot flashes, night sweats, changes in menstrual cycle, moodiness, vaginal changes, fatigue, weight gain, and more. Even women who do not suffer from uncomfortable symptoms benefit from screenings and wellness checks including in menopause services. These screenings and checks can reduce every woman’s risk for the thinning and weak bones of osteoporosis, colon cancer, gynecological problems and other health conditions. Dr. Dean Hildahl provides menopause services that help women before, during, and after they reach menopause to ensure that every woman has a long and healthy life.